Born and raised in Montréal, Justice Sheilah L. Martin was trained in both civil law and common law before moving to Alberta where her career as an educator, lawyer, and judge has been driven by a commitment to fairness and equal justice for all. Justice Martin earned a Bachelor of Civil Law and a Bachelor of Common Law from McGill University in 1981. She then received a Master of Laws from the University of Alberta in 1983 and a Doctorate of Juridical Science from the University of Toronto in 1991. She was called to the Alberta Bar in 1989. Justice Martin worked as a researcher and law professor at the University of Calgary from 1982 to 1986. In the 1980s, she also taught in the common law and civil law exchange program organized by the federal Department of Justice, and was a visiting professor at Osgoode Hall Law School. From 1991 to 1996, she was Acting Dean and then Dean of the University of Calgary’s Faculty of Law. Justice Martin taught courses ranging from commercial transactions and feminist legal theory to advanced constitutional law. From 1996 to 2005, Justice Martin practiced criminal and constitutional litigation in Calgary. Her practice was wide-ranging and addressed issues of deep significance to Canadian society. She acted pro bono for the Women’s Legal Education and Action Fund and the Alberta Association of Sexual Assault Centres in cases before the Supreme Court of Canada. In 2000, she drew on her expertise in the area of compensation for the wrongfully convicted as an expert witness in the Thomas Sophonow Inquiry. At the invitation of National Chief of the Assembly of First Nations, Phil Fontaine, she joined the team tasked with finding a new approach to redress the harms caused by the forced attendance of Indigenous children at residential schools. Her work alongside many others contributed to the Indian Residential Schools Settlement Agreement. 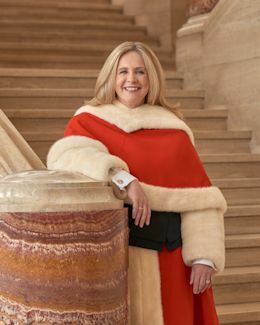 Justice Martin was appointed to the Court of Queen’s Bench for Alberta in 2005. In 2016, she was appointed to the Courts of Appeal of Alberta, the Northwest Territories, and Nunavut. She has also served as a Deputy Judge for the Supreme Court of Yukon since 2009. Justice Martin’s commitment to teaching and education has carried over into her career on the bench. She serves on the Canadian Judicial Council’s Education Committee and has worked with a variety of organizations on judicial education programming. She was appointed to the Supreme Court of Canada on December 18, 2017. Webcast of the Ceremony in honour of the Honourable Sheilah L. Martin, held on March 23, 2018.